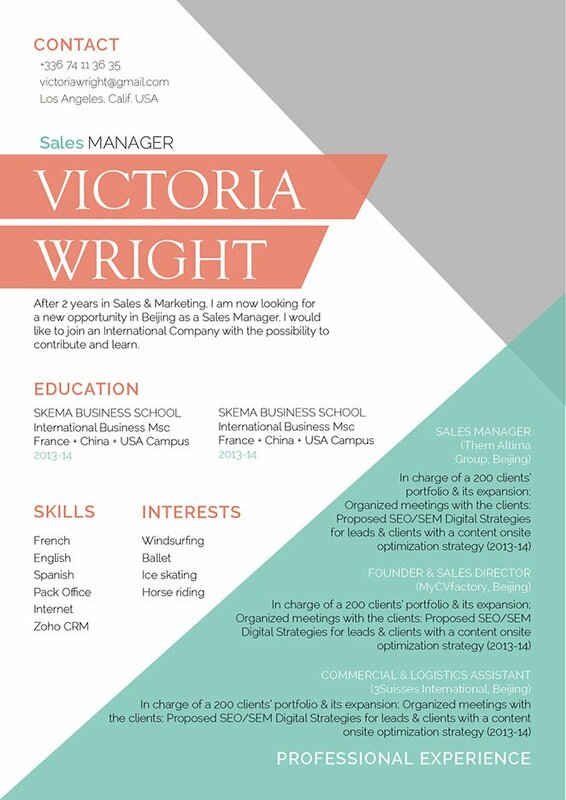 This resume template highlights perfectly your profile; ideal for sales or hostess. CV template to download "Amazing"
The Amazing Resume is just the modern resume template you’re looking for! 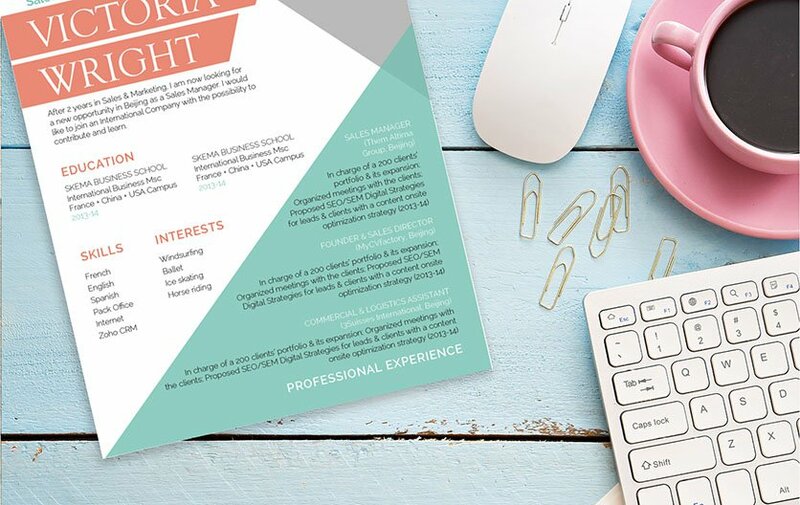 This resume features a great selection of colors, graphics, and texts, which blend perfectly with each other to create a well-structured and effective CV lay out that is applicable to any job type! Applicants who have a solid set of qualifications will greatly benefit from this resume as all the key content are made readily accessible for your potential employer, which is sure to help you land that dream job! Be positive! Above all in your interview and writing your resume, you must paint a positive picture of yourself. Make sure to leave out any irrelevant points in your resume, if you think that your year of graduation might subject you to age discrimination, then leave it out. If there are any tasks or duties in past jobs that are not relevant to your present job search objective, don’t include them. Do include the tasks and skills that are relevant to your present job search. And finally, don’t write down unnecessary bits of information such as our religion, race, height or weight.